Base Diameter: 4-3/4", Height: 9-1/2", Opening(inside): 1-3/4"
Base Diameter: 5-1/2", Height: 11-1/4", Opening(inside): 1-3/4"
Just when you thought enjoying that great craft beer was only going to happen at your favorite bar or pub, these great American made stoneware growlers allow you to bring it home in true Americana style. 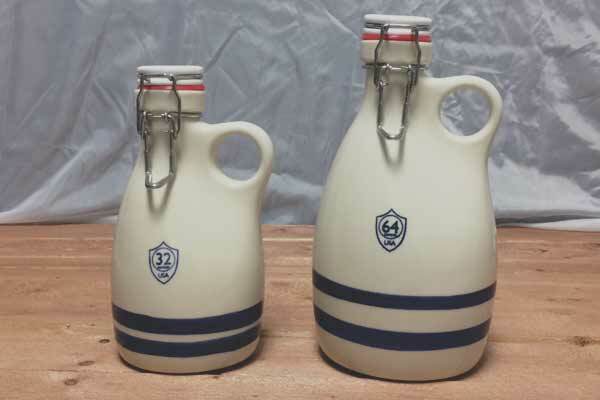 The classic vintage look of these growlers make them a must have for any beer enthusiast. 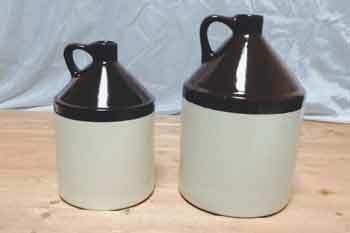 Don't worry about that skunk beer because these thick walled growlers will help keep light out and the chill in. Features a classic flip top bottle design with rubber seal to keep the air out and the great tasting porter, lager, pilsner, bock, stout, or ale in. 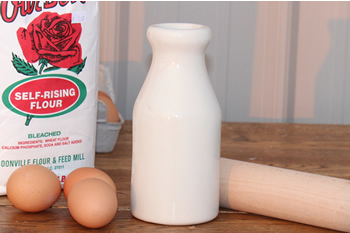 This beer growler is made with lead free glazes making it food safe and dishwasher safe.